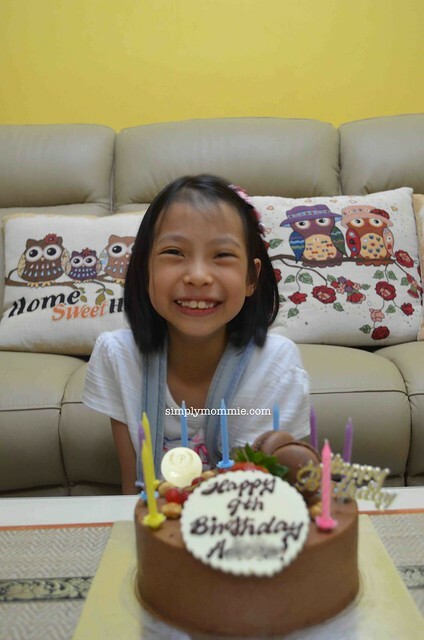 Nine years ago, during this time, I was having my first confinement. It was one of the worst times of my entire life, hands down. Struggling to breastfeed a baby who didn’t know how to latch, expressing milk every 2.5hours, bottle-feeding, washing and sterilizing meant I lived like a zombie. A zombie that cried way too much from pain and post-natal depression. 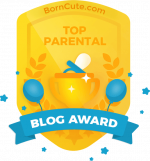 Three years later, I had my second baby and it was so much better. I was more chill, and this time I ordered confinement food. 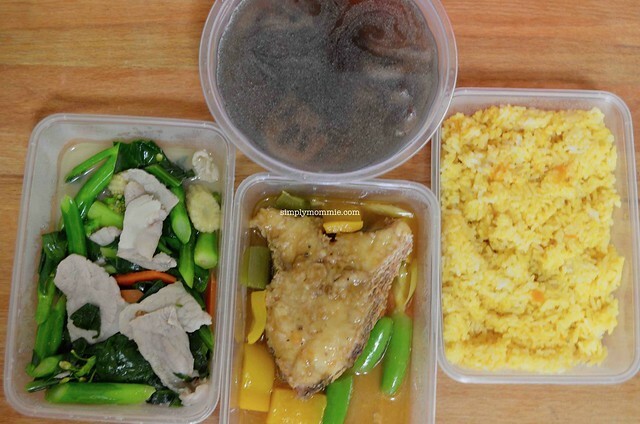 I did my homework by sourcing for the various companies (which weren’t many back then), and I ordered the trial meals to check for food quality and portion sizes. One of the companies didn’t respond to my calls and emails. I thought it was just me or my phone, so I asked a friend to reach out to the company. No response either. So I ordered from two companies. One of the meals was so bad I ate what I could and threw the rest away and needless to say I went with the last one that responded. The food was not bad, the usual confinement fare, so no complaints there. I mean it’s not like I’m wishing for a third baby – two is enough, thanks – but honestly, life is really much better for new mums today. I’m kinda envious of new mums these days where there are more options for just about everything. 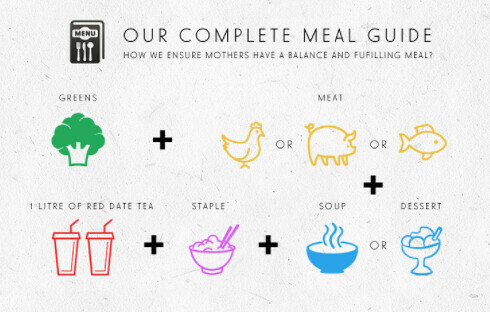 From hands-free pumping, to hands-free bottle feeding and more confinement meal food options. 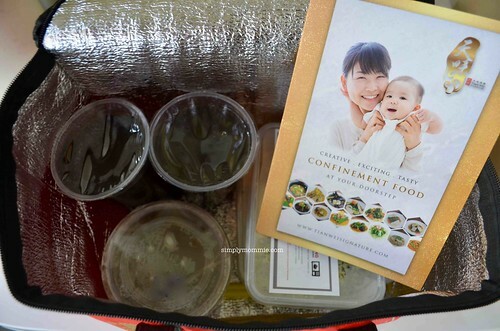 Based on my own experience, I really feel that having good confinement food is important for nourishing the body, for recovery as well as to ensure that breastfeeding moms have the proper nutrition. I personally don’t like the idea of hiring confinement ladies because there’s always a risk that I’d dislike her food, can’t get along with her, can’t agree with her ways of looking after the baby, and I generally don’t like the idea of having a stranger in the house for a month. 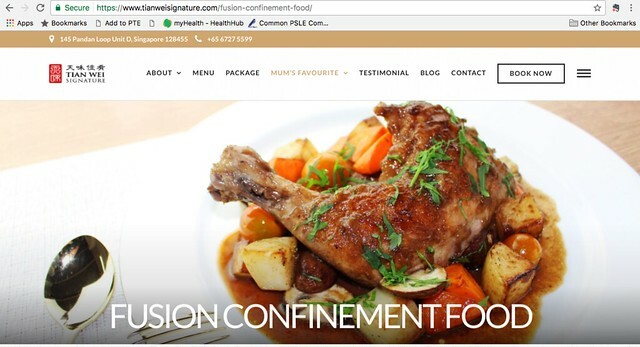 If you share my sentiments, you’ll be glad to know that Tian Wei Signature is the newest confinement food caterer in the market which has given confinement food a creative twist, with the same benefits. And even though I’m not pregnant, and definitely not wishing for more babies, I thought I’d do the honours of tasting their food on behalf of moms-to-be who are looking for confinement food options. What stood out for me first of all when I browsed through Tian Wei Signature’s menu was the fact that apart from the usual spread of confinement food, they offer up Fusion Confinement Food. I think by having a unique meal plan by incorporating a Mediterranean and Japanese twist on confinement food definitely sets it apart from other caterers now. Tian Wei Signature sent over four dinners for me to sample, so the photos below are representative of the portion sizes of one meal. Quick Review: The food arrived at 5pm but I only ate the food (with the exception of the dessert) at about 7.30pm. 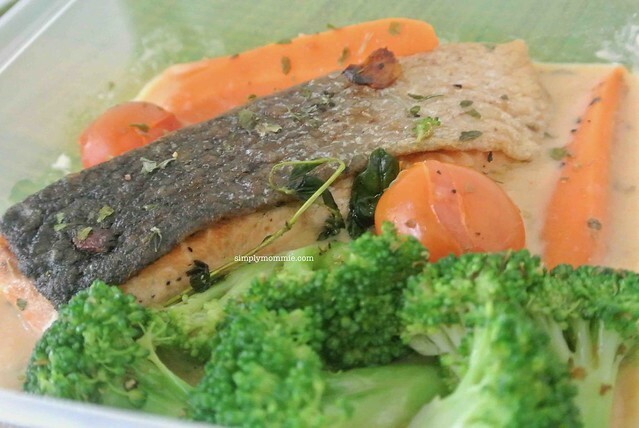 After reheating it in the microwave oven, the salmon was still surprisingly tender and there was no fishy smell! The kids helped themselves to the crunchy broccoli and the cherry tomatoes. For the tri-coloured grain, I really liked the quinoa salsa while my husband slurped up all the polenta, after his own dinner. 😛 The basil rice was ok. We finished the dessert when it arrived – so delicious, best eaten warm! 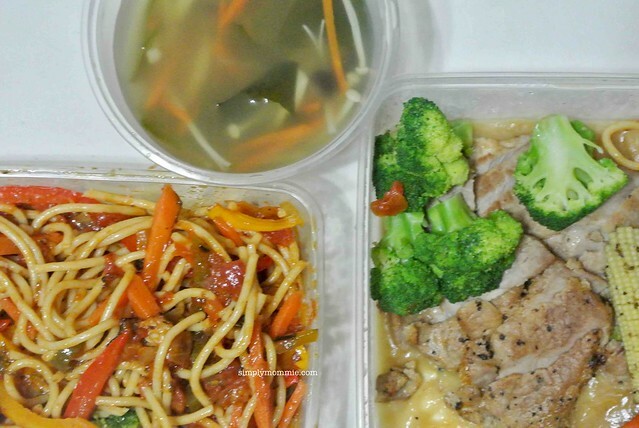 Quick Review: This was my personal favourite meal out of the four that Tian Wei Signature sent over. The COQ Au Vin was really flavourful, and the chicken was fall-off-the-bone tender even after I reheated it in the microwave oven. 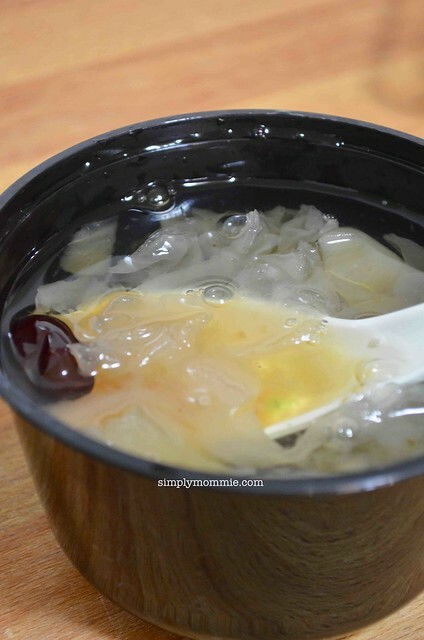 I had to fight with my boy again over the papaya white fungus dessert. It was refreshing and not too sweet, just nice! I’d love to eat this every day! 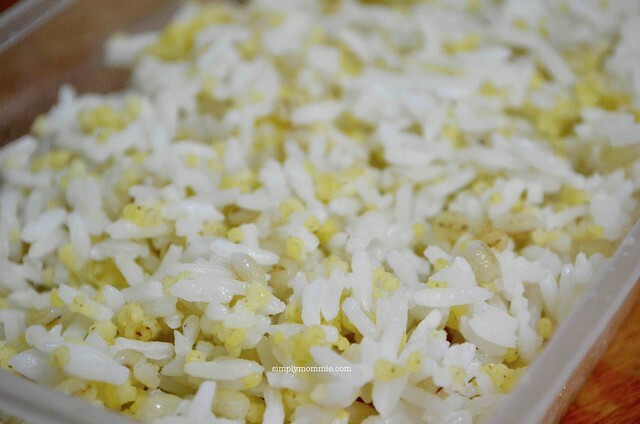 I found the barley millet rice a bit hard but eaten with the gravy of the chicken dish, it’s ok. 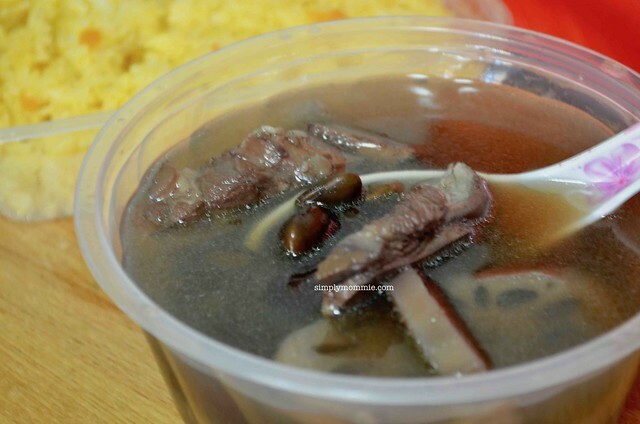 Menu: Stir Fried Kai Lan with Lean Meat, Lemongrass Fenugreek braised Fish Fillet, Pork Ribs Soup with Black Bean and Lotus Roots, with Pumpkin Rice. 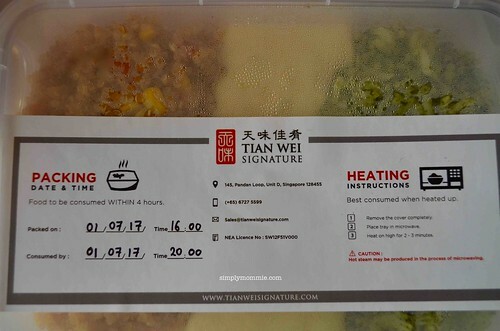 Quick Review: This is the most traditional confinement food looking meal Tian Wei Signature sent over for me to try. I obviously couldn’t try out the extremely nourishing or heaty dishes and soups because I didn’t just deliver a baby, but based on these meals that I’ve tasted, you’d expect that the rest of the food would be of high standards. 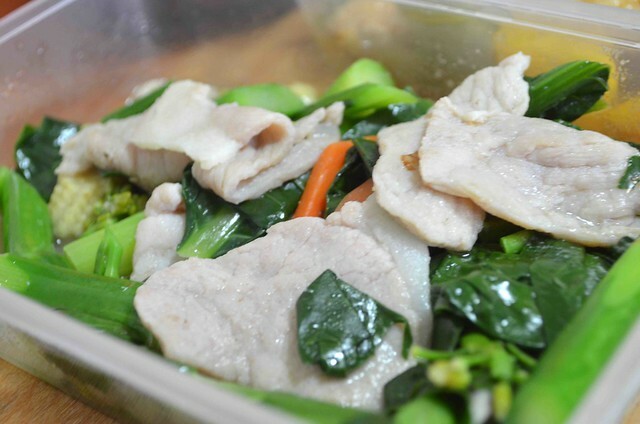 The lean meat was very tender and the kailan had a nice bite. 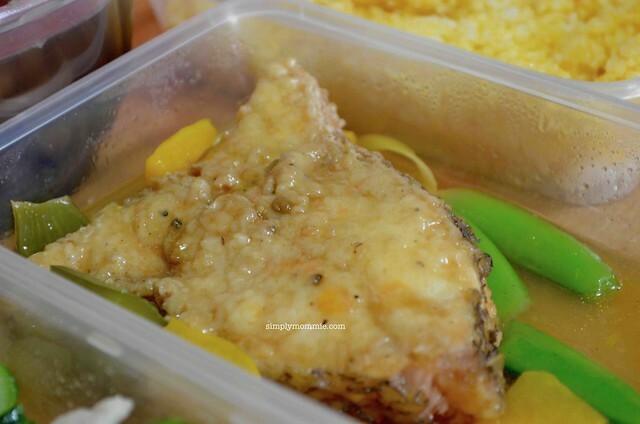 The fish was tender, and even though it was cooked with lemongrass and fenugreek, the kids finished it up because the taste was not overwhelming and in fact, quite mild. 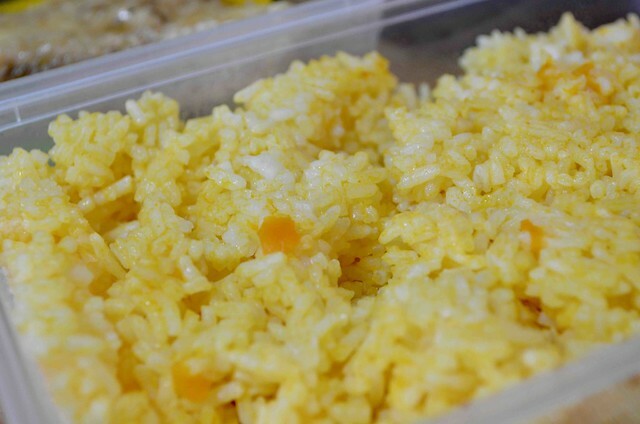 The pumpkin rice was rather mild in taste too, so even if you’re not a fan of pumpkin, it would be very acceptable. This was not grainy or hard. 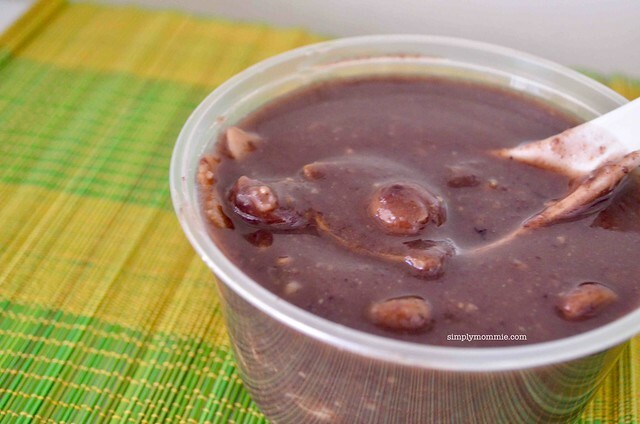 The soup was plentiful of black beans which are extremely nutritious, and the soup itself was savoury sweet. I didn’t feel parched after drinking or eating the food so I’d say that MSG wasn’t used to enhance the flavours. 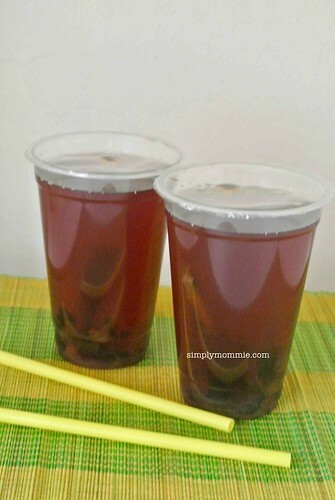 Every meal comes with 1 litre of red date tea. I really like the red date tea because it’s not overly sweet and I can tell that the sweetness comes from the natural sweetness of the dates and not other sweeteners. 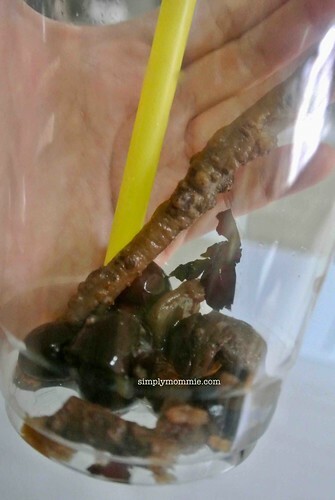 Here’s what is in the cup after I’ve finished the drink. 真材实料! Food must taste good. Obviously, this is the most important. You’ll be eating food from the caterer twice a day for 28 days. 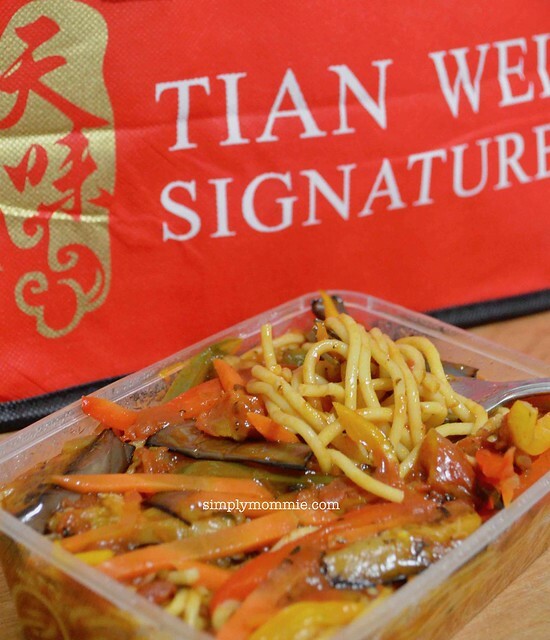 Tian Wei Signature’s food is definitely delicious! 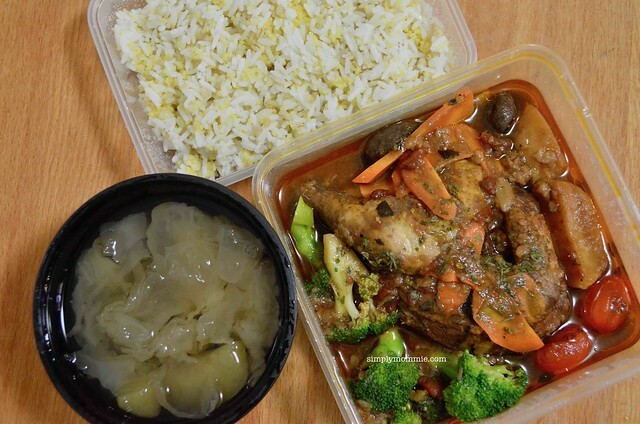 I’ve tasted four meals, and the meals have been consistently of high standards. There must be variety. 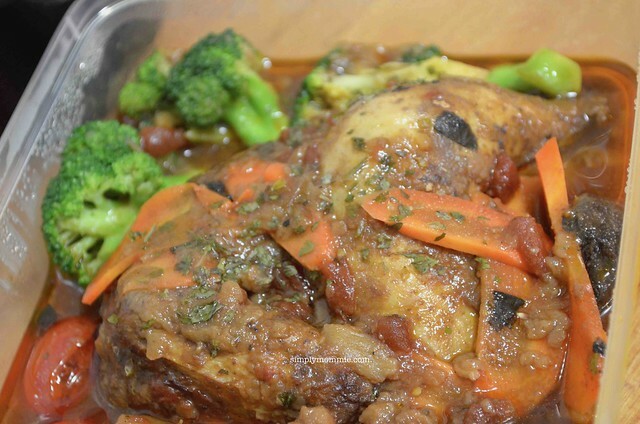 You don’t want to be stuck eating fish, chicken or liver cooked in the same way over and over again. There’s a wide variety as you can see from my photos, and of course, you can also check the menu out for yourself. I like that there’s even dessert. Every one needs a sweet treat and a new mom definitely deserves one! 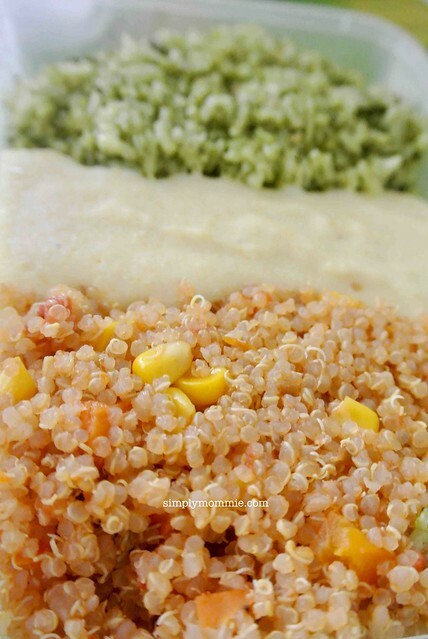 The food must be nourishing for the body to cope with postpartum demands. 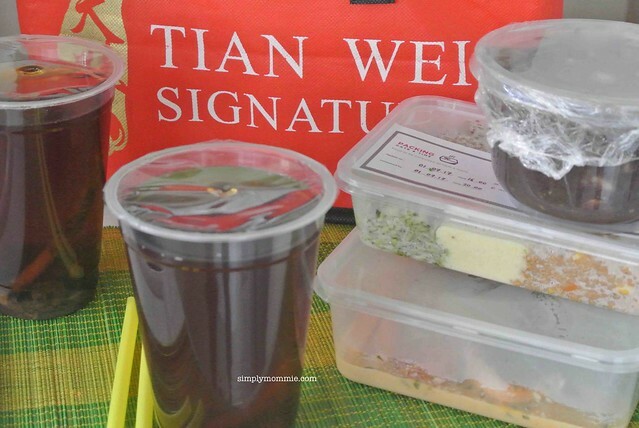 Tian Wei Signature’s award-winning chef has planned for lots of old ginger, sesame oil, rice wine, black vinegar and red dates to be used in the first two weeks of the confinement. According to traditional confinement theory, these ingredients help to dispel ‘wind’, remove ‘cold’ regulate blood level and stimulate ‘qi’. In the subsequent two weeks, it is the time to take in nutrient-rich food to restore immune system and to ‘build up the body’. It is during this period of time that Tian Wei Signature introduces the Japanese and Mediterranean inspired dishes using traditional confinement ingredients to spice up the confinement food menu. Nourishing soup is a major focus of Tian Wei Signature. They provide 28 days of different herbal soups to help new moms replenish their blood and energy lost during delivery. 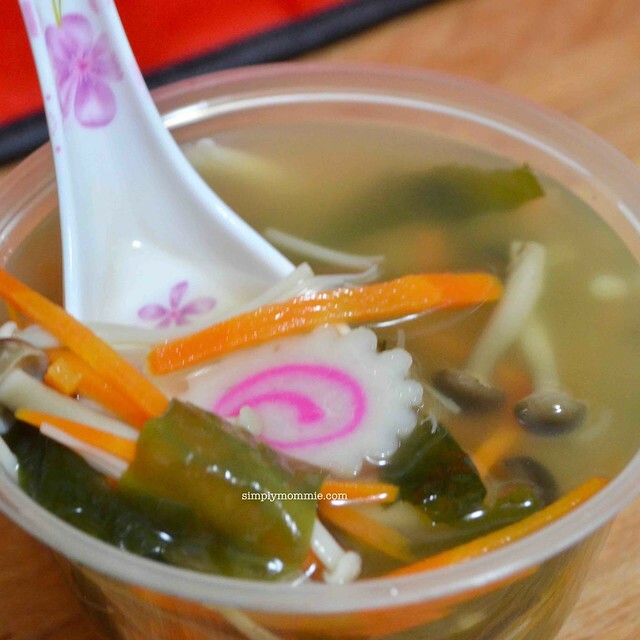 Originating from Traditional Chinese Medicine’s ‘yin yang’ and balance of ‘qi’, their herbal soup concoctions focus on nourishing blood, enhancing breast milk supply, increasing vitality, calming nerves, postpartum weight loss and postpartum haircare. The diet must be well-balanced to provide optimum nutrition. Breastfeeding means nutrients from my body will be passed through the milk to baby. If you don’t take in sufficient nutrients, the nutrients will be taken from your body’s supply and may cause health problems years down the road. 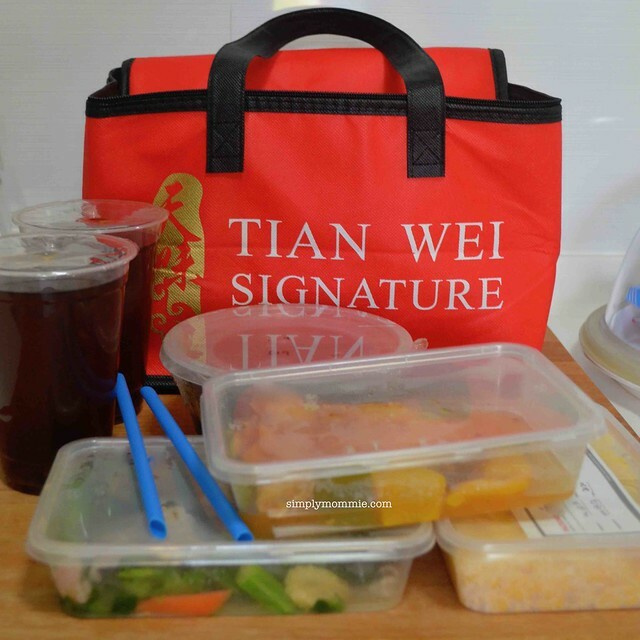 Tian Wei Signature has it all planned out nicely to cater to both taste and postpartum needs. Their menu includes more than 12 breastfeeding friendly ingredients which purportedly help to increase breast milk supply: fenugreek, fennel, cumin, barley, brown rice, black sesame, salmon, carrot, ginger, spinach, basil and green papaya. Food must be packed and delivered hygienically and provide as much ease for the new mom as possible. 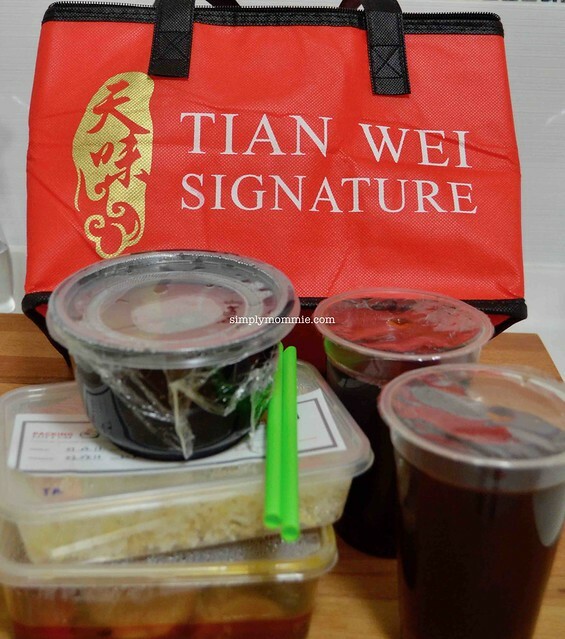 Tian Wei Signature delivers the food in a thermal bag and even though I’ve received the food at 10 minutes to 7pm, the food is still warm. I didn’t always bother to heat up the food. 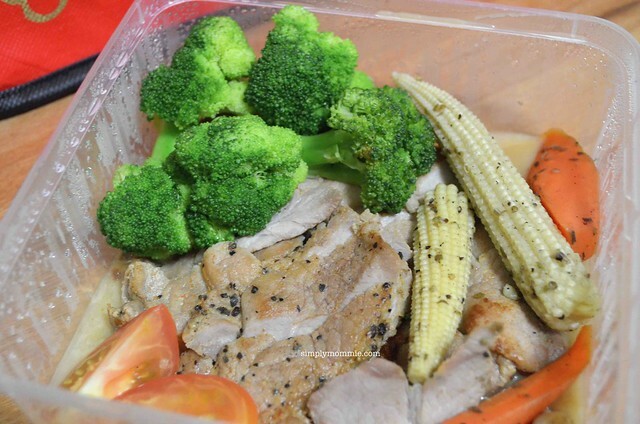 Reheating instructions are clear and there are also clear guidelines as to when the food was prepared and suggested time it needs to be consumed by to prevent food poisoning. 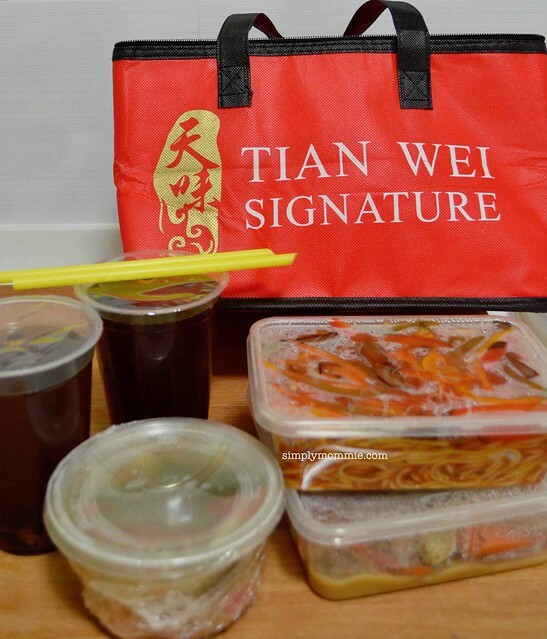 Overall, I’ve found Tian Wei Signature to be a very promising confinement food caterer. 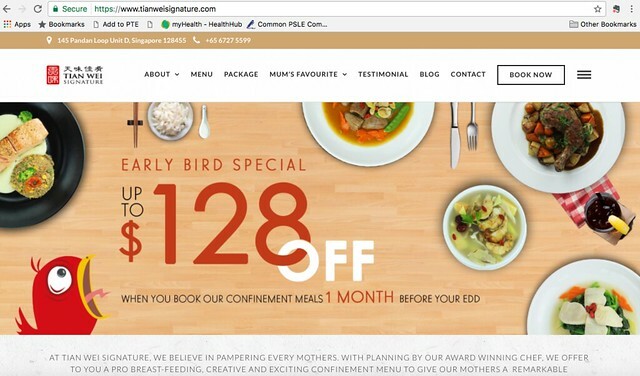 With their high standards of food, the meticulous planning of the menu to cater for both postpartum needs and breastfeeding demands, and to top it off with their creative spin on confinement food to spice up a new mom’s life, what’s not to love? For current promotions and updates, check out Tian Wei Signature. Package information available here. Disclosure: This is an advertorial. All opinions are 100% mine. This entry was posted in Advertorials. Bookmark the permalink.